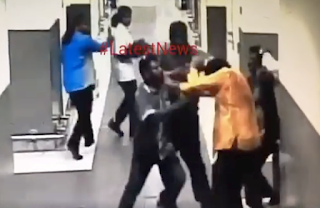 KUALA LUMPUR: Police have arrested five people over Sunday’s assault on Sri Lanka's High Commissioner to Malaysia, Ibrahim Sahib Ansar. 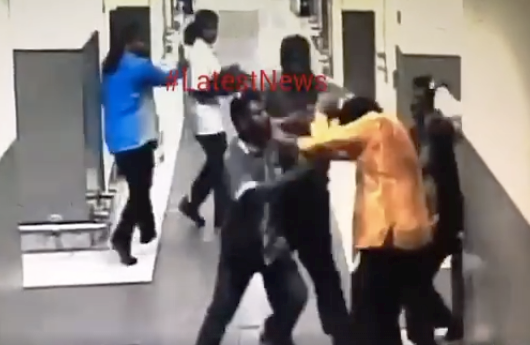 Police have also identified four more suspects involved in the incident at the Kuala Lumpur International Airport, and are working to trace their whereabouts. The men, aged between 27 and 56, are being held under the Security Offences (Special Measures) Act. Inspector-General of Police Tan Sri Khalid Abu Bakar said Police are also probing local groups that have demonstrated support for the Liberation Tigers of Tamil Eelam (LTTE). These groups had protested the presence of former the Sri Lankan President Mahinda Rajapaksa to Malaysia. The former President returned to Sri Lanka today. The Inspector-General of Police said their investigation would also focus on identifying any links to the LTTE, including financially supporting them in the fight against the Sri Lankan government. The five suspects were picked up in Dengkil, Ipoh and in KL, in an operation that began yesterday.